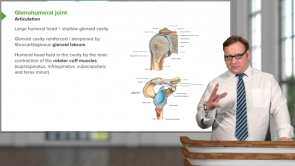 Upper Limb Anatomy | Try Online Course for Free! Our expert Dr. James Pickering will introduce you to upper limb anatomy. Dr. Pickering is a Professor of Anatomy and has written various publications in the field. Due to his regular use of various modern learning tools, he was awarded the title of "Most Innovative Teacher of the Year 2014". This article provides an overview of the cutaneous innervation and venous drainage of the upper limb, reviewing several of the veins in this area of the body. Both superficial and deep veins are presented, giving an overview of the progression of veins in the arms. None of us can imagine a life without fingers. We would no longer be able to use a computer, play an instrument or greet a friend or colleague with a friendly handshake. Hardly any other joint is as frequently affected by joint rheumatism as the finger joints. 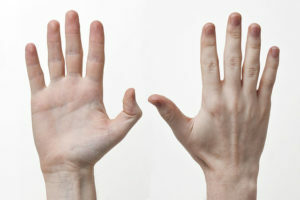 Countless metacarpophalangeal joints, like the second knuckles of people living in industrialized nations, are affected by chronic polyarthritis. Knowledge of the anatomy and pathology of the fingers and thumb is thus indispensable for every (aspiring) medical practitioner. For humans, life would be far more complicated without hands. 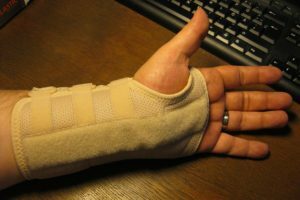 Any right-handed person who has had a broken right hand and subsequently received a cast can remember years later how stressful the simplest of everyday tasks could be. In 2015, 30 % of all fall injuries in sports affected the hand or hand joint. 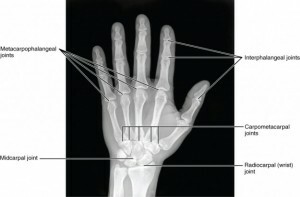 With such a high rate of injury, it is scarcely surprising that students of human medicine must be familiar with the hand joint in all its anatomical and biomechanical details. 15 % of all injuries of the elbow joint lead to occupational disability with premature pension. Thus, it is understandable that the health system has great interest to limit the consequences of such injuries, in case previous prevention measures have failed. Hence, there is need for physicians and therapists who invariably master the (functional) anatomy and pathology of the elbow joint, so patients with elbow lesions would be treated appropriately. This article is supposed to help medical students to learn the routine of dealing with the elbow joint – both for the exams in university and for later professional practice. 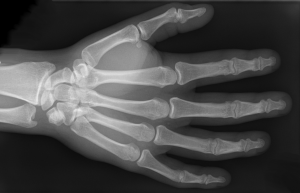 In this article, you get an overview of the pathology of the brachial nerves and understand how a hand of benediction or a median claw hand, an ulnar claw and a hand extension loss with the radial nerve paralysis may develop. The large number of different muscles makes the forearm and the hand one of the most complex structures in our musculoskeletal system and can cause issues for both medical professionals and students. The most common arm injuries occur in the upper arm, especially the radius. The shoulder joint is one of the most mobile joints in the human body and is extremely susceptible to injury, among other reasons, due to its high mobility. Physicians, not only surgeons or orthopedists, should, therefore, be familiar with its anatomy and functional anatomy. This article provides an overview of the osseous and articular structures of the shoulder joint and the subacromial joint space. Hardly any other muscle group has so many small intricate complexes as those of the thumb and fingers and causes such a headache to medical students. And yet, the muscles and their functions can be very easily remembered on the basis of their denominations and the majority of them is innervated by the deep branch. It is, therefore, advisable for aspiring doctors to study with the help of mnemonics in order to be able to go relaxed into their next exam. The human shoulder is the most mobile joint of the body. Since it is a muscle-guided and muscle-stabilized joint, it is susceptible to instability and inflammation. It is essential for doctors to learn about the muscular stabilization of the shoulder joint and its functional anatomy. We can imagine how tiring (if not impossible) a life without a properly functioning shoulder joint would be. The muscle groups of the shoulder are distinguished by location and origin: the muscles of the shoulder and the muscles of the upper arm. The shoulder is the region of the body that connects the upper limb with the trunk. The shoulder girdle (composed of the articulation between the scapula and clavicle) and pelvic girdle are the two points in the body where the axial and the appendicular skeletons meet. Arm is the region of the upper limb that extends from the shoulder to the elbow joint. 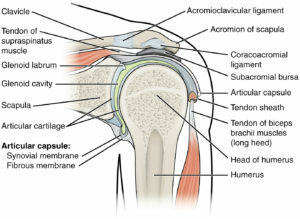 It connects inferiorly to the forearm through the cubital fossa (located anterior to the elbow). 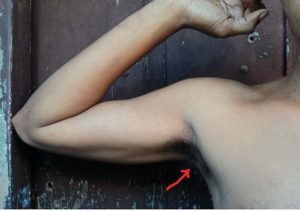 Axilla, region inferior to the shoulder, lies medially to the arm. The arm contains one long bone, humerus, in addition to numerous muscles, tendons, ligaments and neurovasculature structures that assist in bringing about all its movements. Forearm is the region of the upper limb located between the elbow and the wrist. Its structure is maintained by two long bones, radius and ulna, along with numerous muscles, tendons and ligaments. Bones of the forearm contribute in the formation of elbow joint proximally, and the wrist distally. Two additional joints found within the forearm are proximal and distal radioulnar joints. The axilla is the entrance to the upper limb, providing a smooth transition between the neck and the arm. This article provides an overview of the structure and contents located within the axilla. 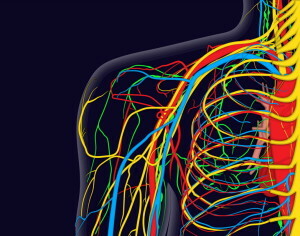 The arteries of the upper limb such as brachial and radial arteries are often palpable clinically and used in measuring blood pressure, pulse rate and drawing blood samples for arterial blood gases analysis (ABG). Dr. James Pickering did his Ph.D. at the University of Leeds where he currently works as Associate Professor in Anatomy. 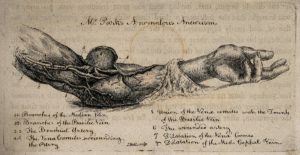 He has made various publications on the human anatomy, such as "Access Anatomy: Abdomen", and is heavily involved in the delivery of anatomy teaching to medical, dental and intercalating students. He regularly uses various modern learning tools to a great extent and was therefore rewarded as "The Most Innovative Teacher of the Year 2014" and "Learning Technologist of the Year 2014" by the Association of Learning Technologists. Additionally, he also received the "University of Leeds Teaching Award". Amongst others, he currently researches contemporary methods of learning, e. g. the use of blended learning resources on student engagement and assessment, or the screencast as a method of consolidation as well as revision. Dr. Pickering's lectures are great. He focuses on what's important and everything is exceptionally well organized. The only thing I would add to the lectures is various mnemonics available for the upper limb. Very nice presentation of the shoulder by Dr James Pickering. Highly recommended! i thought the course was very in depth and easy to understand. So well organized and clearly explained! The way you organize the material makes anatomy reasonable... the puzzle pieces fit. Excellent lecture about the clavicle -- key landmarks are highlighted and the compare/contrast of superior and inferior views is extremely helpful. Very clear lecture and excellent intro to osteology of the arm. Straightforward and extremely well organized. I like the way he relates parts of anatomy to one another. Very clear and concise lectures, explained well with appropriate amount of detail - nothing is left unexplained and it never feels too complicated. The diagrams used are very informative and useful as well. Cristal clear to understand and well organized material. This lecture series help us to learn anatomy interestingly. Helped me a TON! Great quick easy overview of the Scapular bone, and was much easier to learn and understnad throughout this video. Much better understandment than my antomy class. I am really enjoying this, helps me understand better and it makes it possible to review after I have had a lecture at my university or even before. Although a shorter one compared to the other videos, this was comprehensive and concise. I just hope they have a zoomed in/focused photo of the specific areas of the bones so it would be much clearer to identify the features. Very thorough explanation of the important structures found in the humerus. Recommended for medical students especially those who learn visually. Thank you, Dr. Pickering. I rate this lecture with 5 stars because just after I heard this lecture I understood the Brachial Plexus. Fantastic explanation about the topic, easy way to learn anatomy. Hacen falta mejorar los subtítulos en español, no siempre están en el orden correcto las palabras y esto dificulta el entendimiento. Dr. Pickering pointed out a few things that even my anatomy professor (who is excellent) did not. A very good lecture on the brachial plexus -- both short and detailed. I found this lecture to be clear, concise and suitable as a complement to lectures, textbook and cadaver work. Could you make the diagrams and their labels a bit larger, as they are difficult to see on smartphone, and there is no zoom facility. I really thankful w/ the doctor and his course. If you're really strugling with this topic, believe with those videos you'll understand everything. Definitely benefitted from the lectures. Just a small note, even when putting the video on HD and full screen, the writing is too small and blurry to see the labelled parts of various anatomical structures. Hope the resolution can be increased or labels increased in size. They are really great videos. I wish questions would be more like USMLE or NBME questions. Great for reviewing anatomy for your orthopedic rotation when you don't have time for textbooks. Very detailed. It's a good professor, but there should be a "live" skeleton that he uses instead of just the PowerPoint. Fantastic! It’s like you’ve melted the fear away for me! I can watch over and over and over until I can nearly repeat it word for word. Sometimes when you study you can know something but in a multiple choice question (MCQ) situation later you can be stumped - while I found the sentences are in my head and it’s like being able to check the lecture! Repetition is the best way to learn! You couldn’t ask a class lecturer to keep going over stuff but with your amazing classes you can!! Thanks !!! Telling all my classmates about your article. I learn better by listening and visualizing. So these lecturio lecture videos helps me a lot. Reading the text book after watching these is way better than trying to learn from the textbook alone. Also these video lectures aren't boring. they are very interesting. If someone is struggling to learn anatomy on their own, then I'd really recommend this for them. Thank you very much for this course. It helped me understand the anatomy of the upper limb very well. I certainly liked the video format, where we can adjust the focus from the speaker to the slide, and use the cursor to aid in pinpointing the relevant aspects of the scapula. The only thing I found was missing was a little aside about the suprascapular notch, which was shown in the slide, but not alluded to in the actual video lecture! easy to understand.... superb mcqs awesome lecture videos which helps to understand the concept better..
How Dr James Pickering set me up! Well Dr Pickering has presented the subject in such a lucid and organised manner that it becomes impossible not to fall in love with it and become dexterous in it at the same time. It was a wonderful experience with the upper limb. Hope I have the same fun with the lower limb! The video quality is quite good and I like the way the topic is presented. I would definitely recommend this to my friends in medical school. I guess the font could be larger and thicker though. Great lecturer! Covers the topic without becoming bogged down in the details. Lecturio is a great way to learn medicine. I liked the lectures very much . The in-depth classification of bones,muscles and associated systems surely was great. The clarity in voice and imaging helped me understand a great deal on appendicular skeleton . And i also scored great marks in the tests conducted on the topic anatomy of upper limbs at the university. Surely lecturio is the best choice for all medical U.G students. Thank you lecturio for your marvellous services. Enjoy the multimedia approach. Being able to hear and see the information at the same time helps me to learn better. This course was really good to understand with my knowledge of upper limb of arm. I do not want to stop watching!.